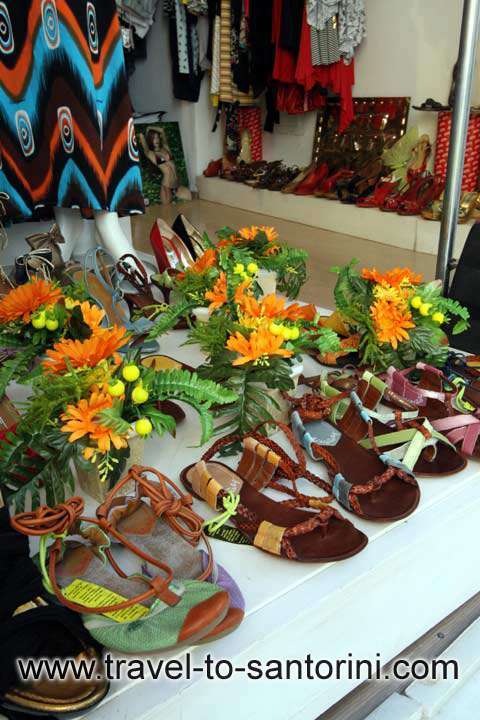 In the most central road of Fira Town, you will find the BAZAAR boutique shop. Though traditional from the outside, it surprises passengers with its stylish clothes and unique shop window. It is small sample of what you will see inside. All women and men will find something to fit their tastes. 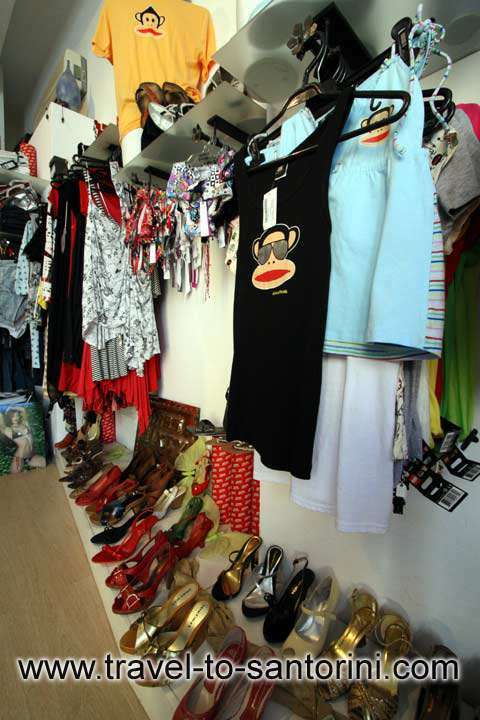 Jeans, T – shirts, dresses, skirts, boots, shoes, swimsuits, bags and belts. Women can select from our wide range of clothes Miss Sixty, Fornarina, Paul – Frank, Take Two, Disigual, ALPRAUSCH, Miss Bicini, KILLAH, etc. 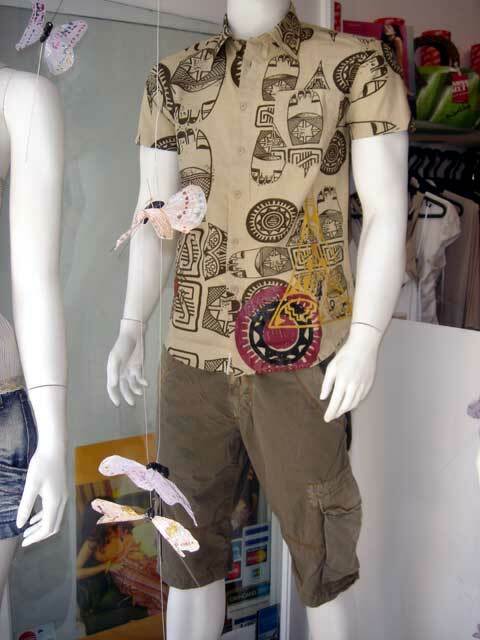 Men will have the chance to choose a pair of jeans or a T – shirt from SIXTY, Paul Frank, Take Two, ALPRAUSCH, Body Glove, etc. Make a pass from our shop window and you will come back again!